Alford Image Library - School Choir? Where was this photograph taken and who are these children? Is it a competition in Aberdeen? Taken again in Golden Square either after or before taking part in the Music Festival. Mrs. Isabella Cowe, my Mum, was music teacher at Alford. 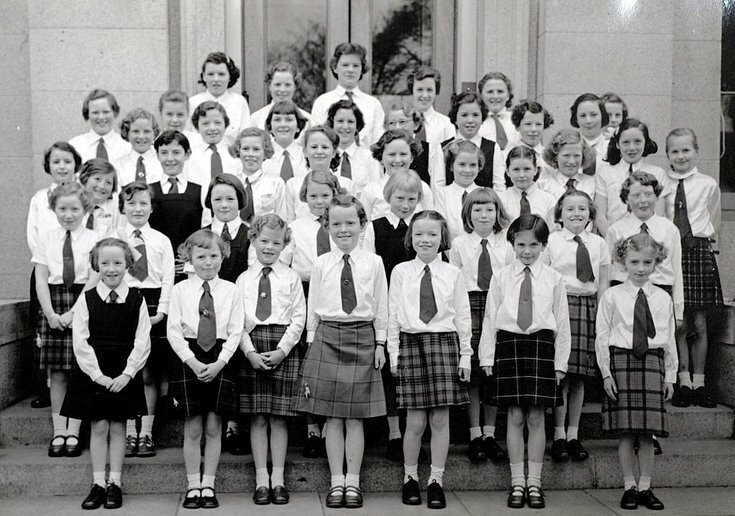 Jean Comfort and Patty Innes (2nd row from the back are in the picture, also Christine Duncan and Mary Shepherd. Certainly 1959 onwards.
? Stewart (the Vets daughter) 4th from left front row and Cynthia Stewart 2nd from right front row.